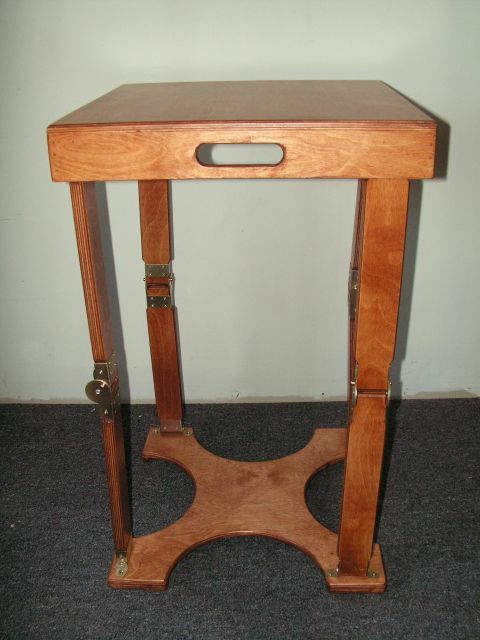 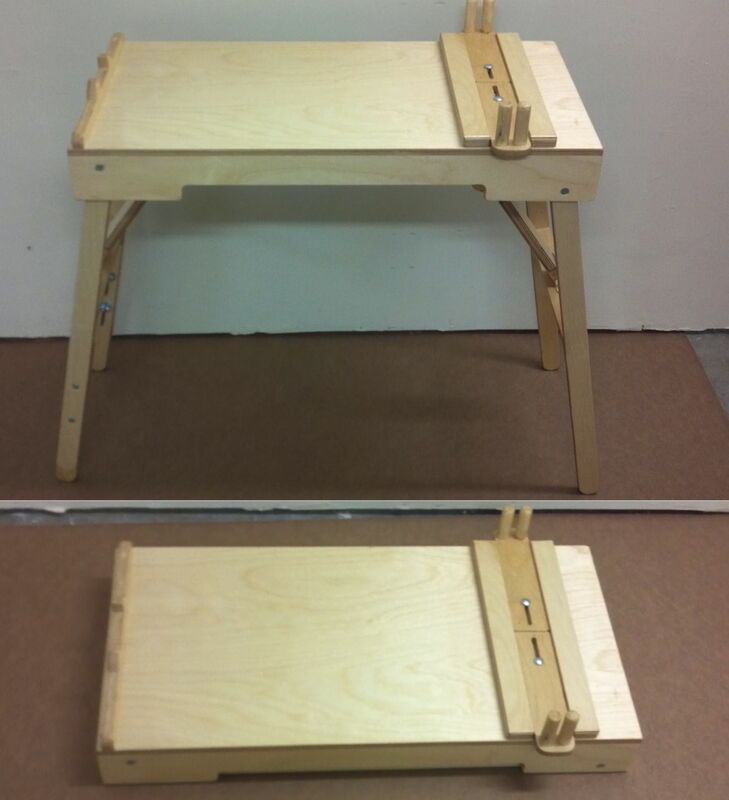 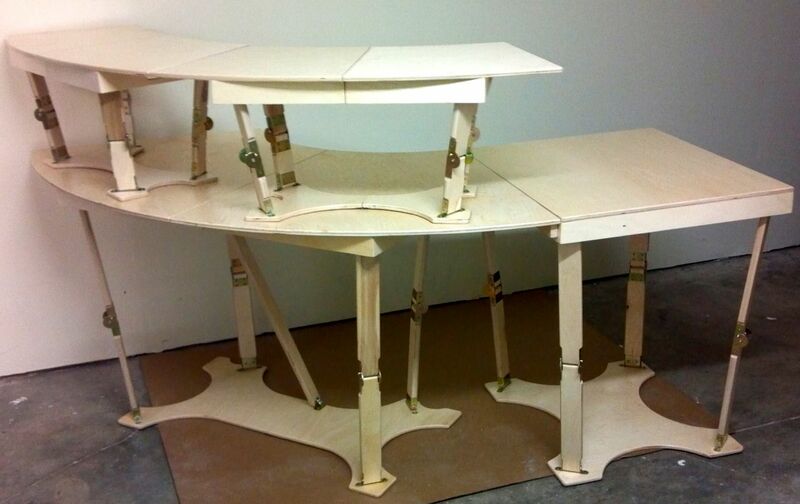 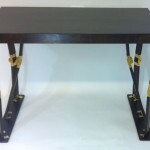 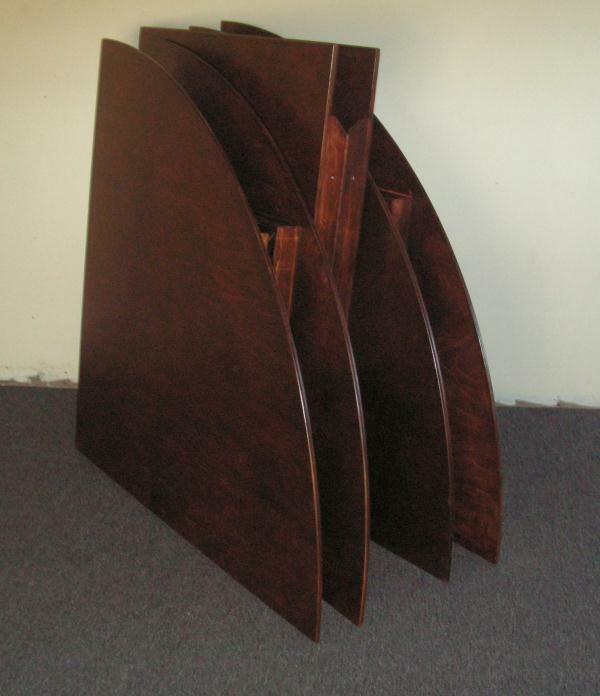 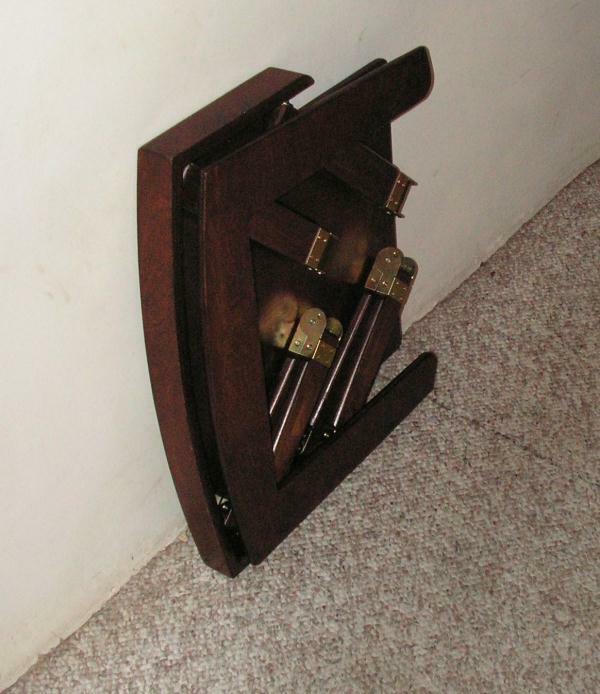 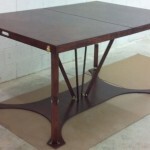 Our folding tables and furniture can be hand crafted to your specifications for a truly custom piece. 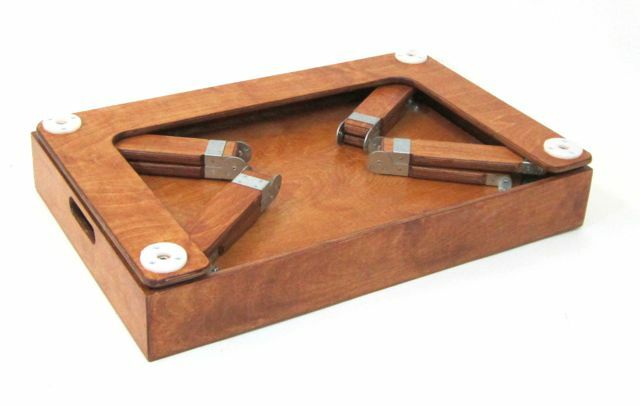 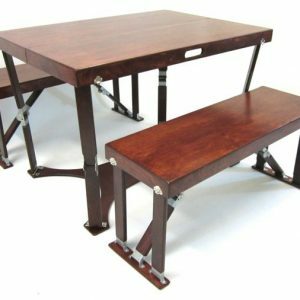 With our hand-crafted folding tables you can choose from: Natural, Golden Oak, Light Walnut, Dark Walnut, Light Cherry and Red Mahogany Stains. 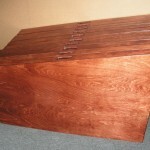 Check out our hand crafted selection below. 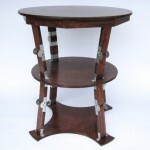 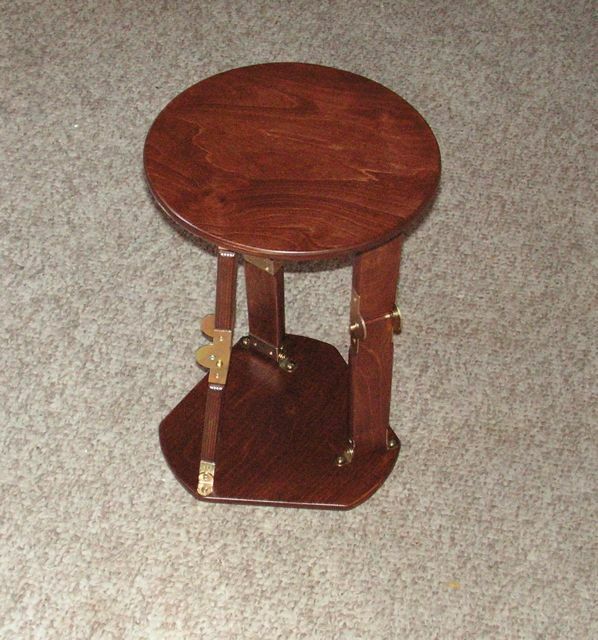 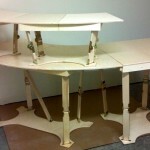 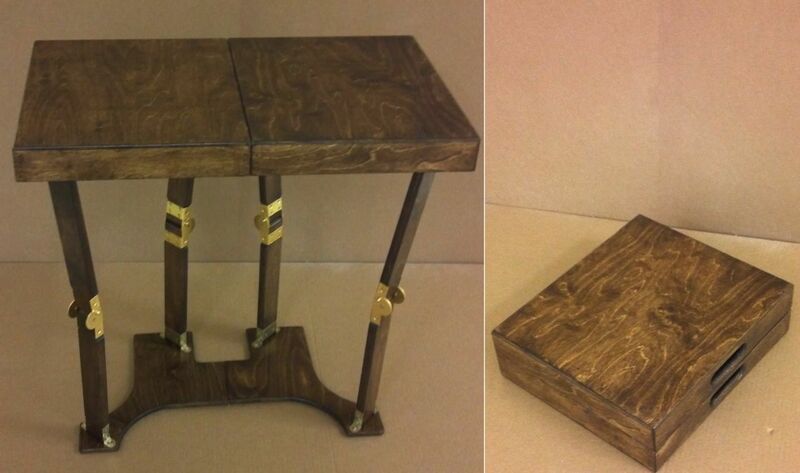 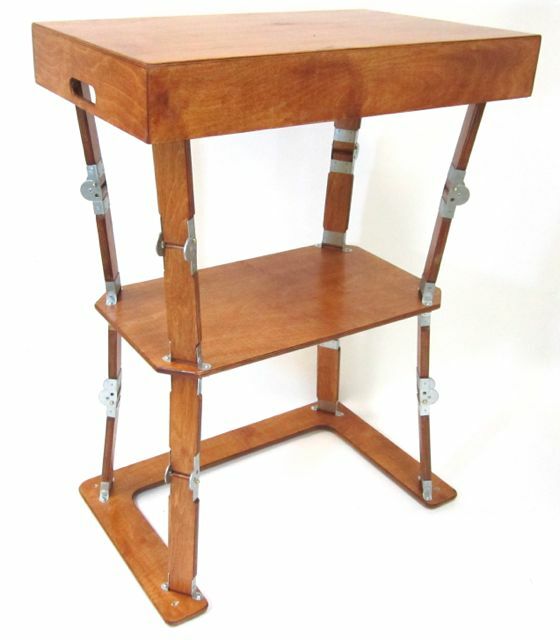 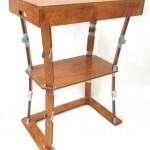 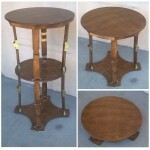 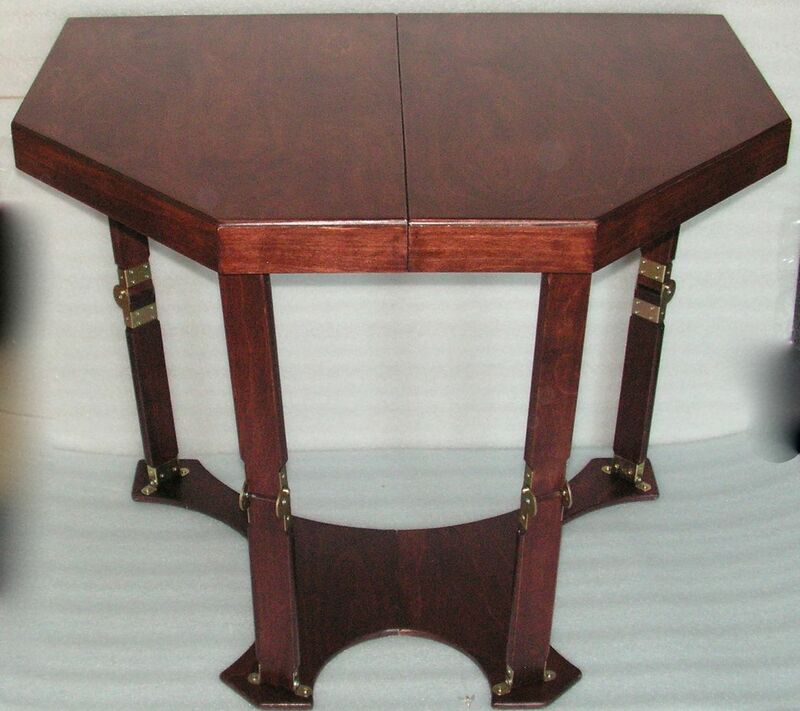 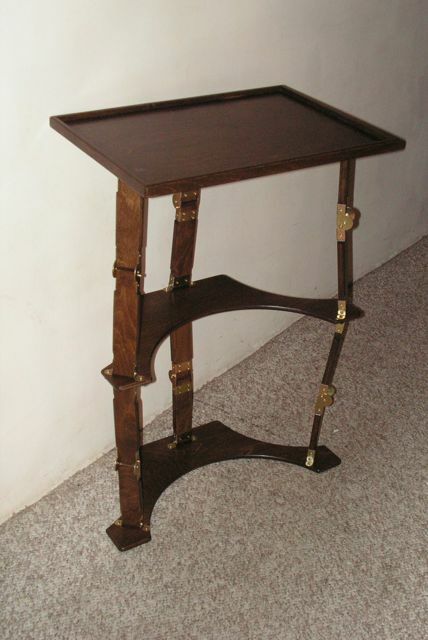 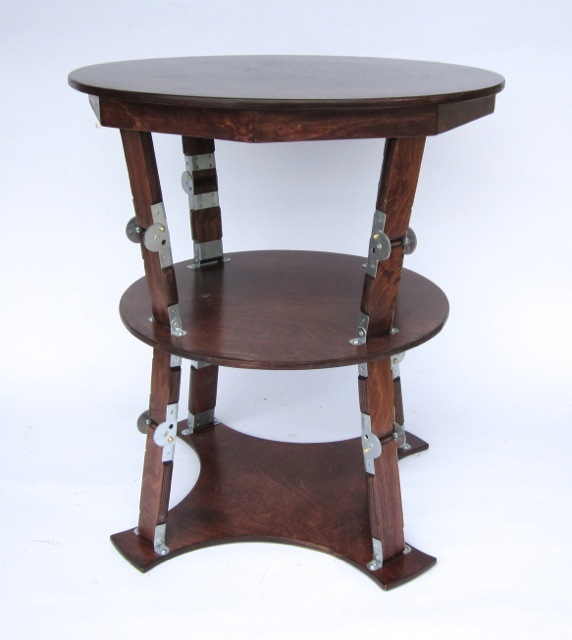 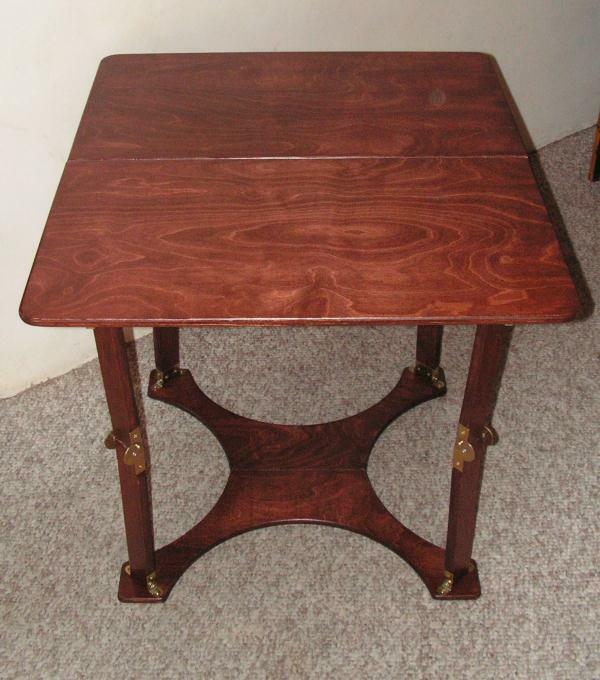 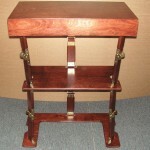 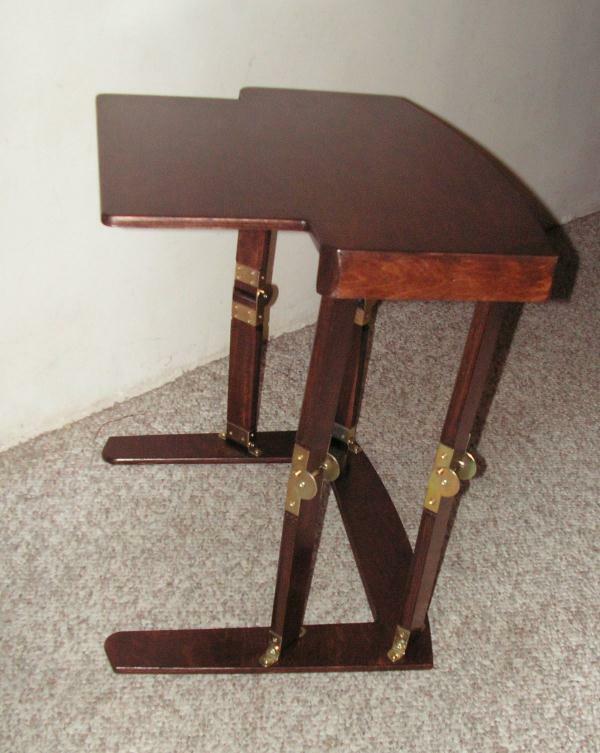 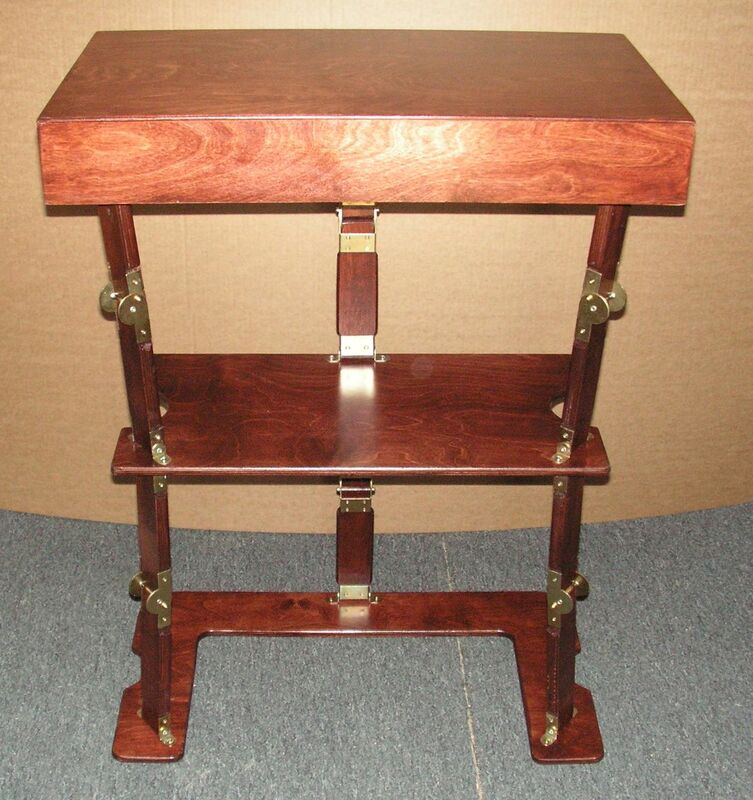 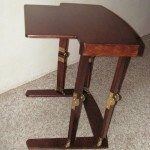 Looking to Customize the Height and Size of Your Table? 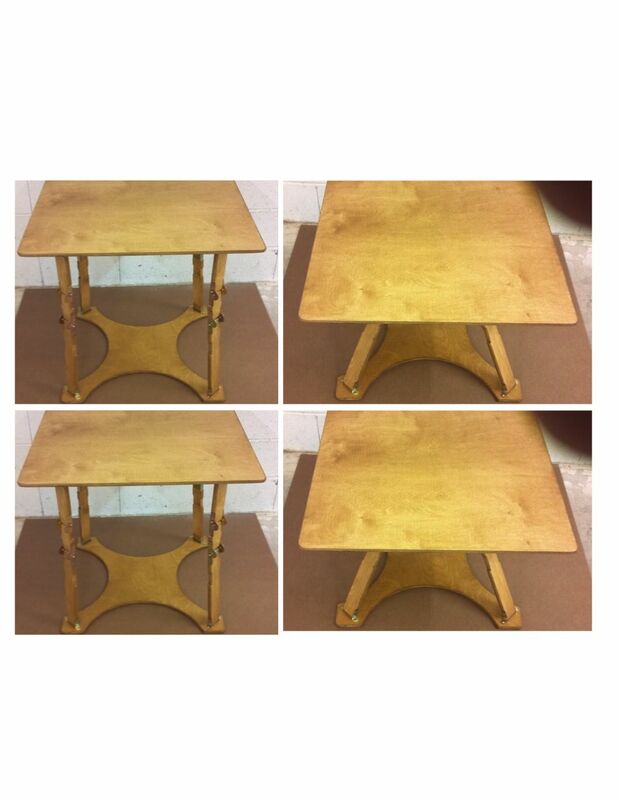 We’ve had customers ask to turn our large tables into coffee tables by changing height. 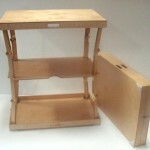 We’ve made many custom sizes. 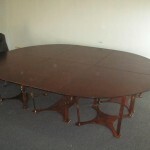 We can do that for you too. 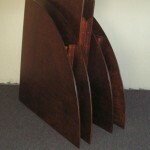 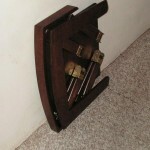 For these kinds of creative customizations or for a custom size, height or shape contact us below. 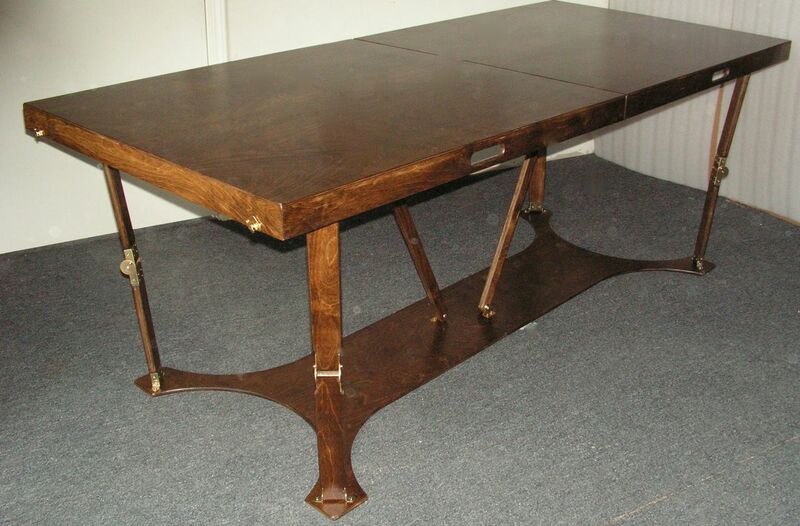 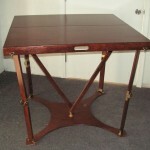 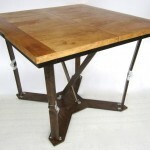 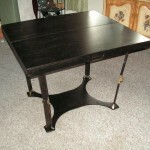 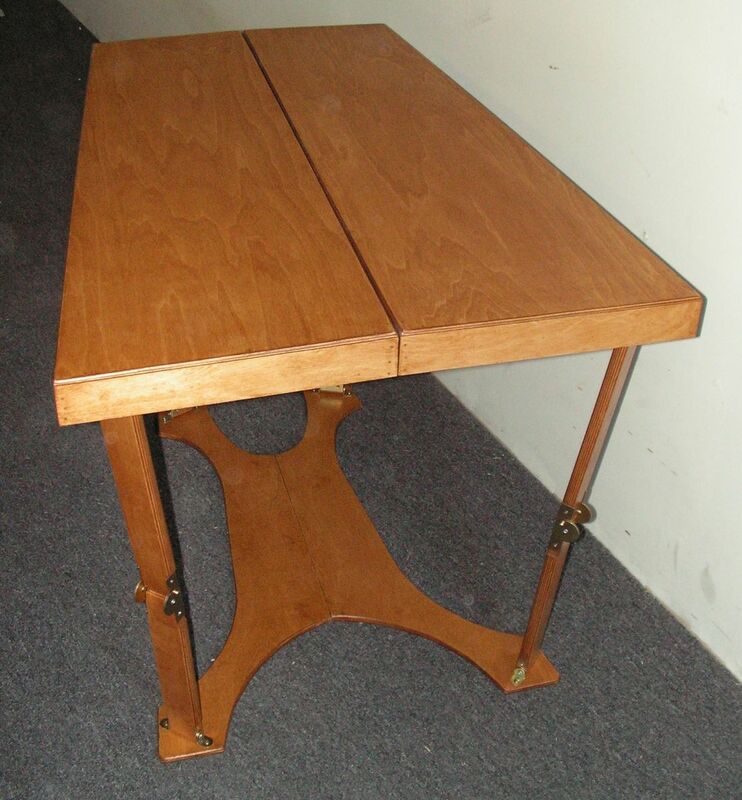 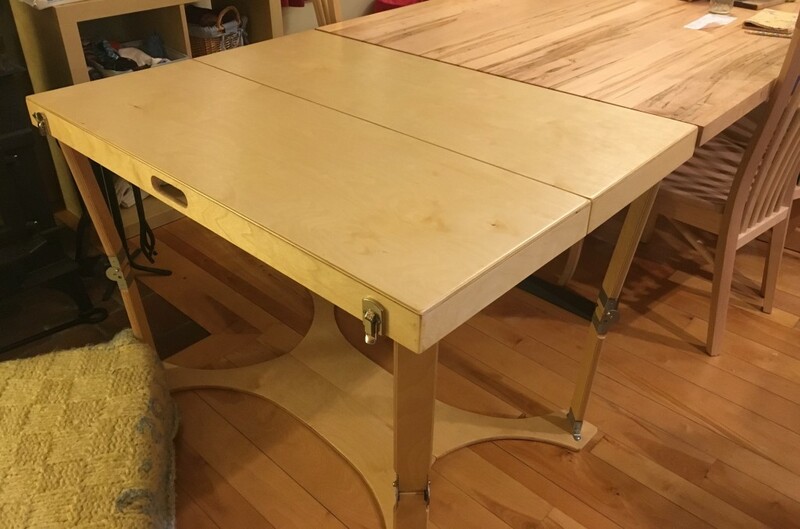 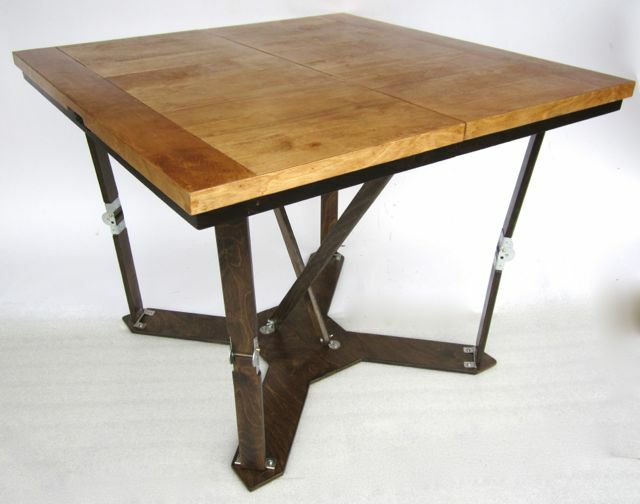 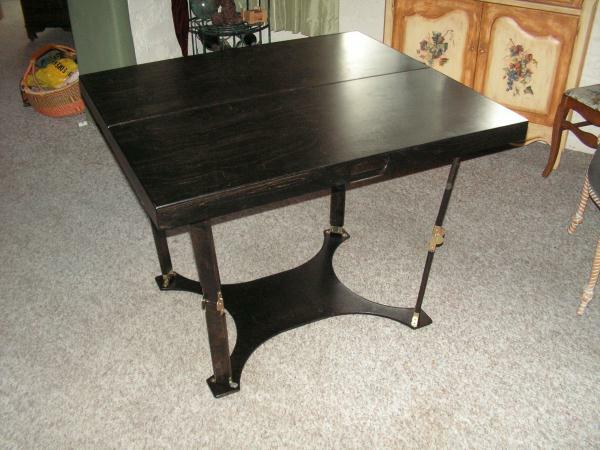 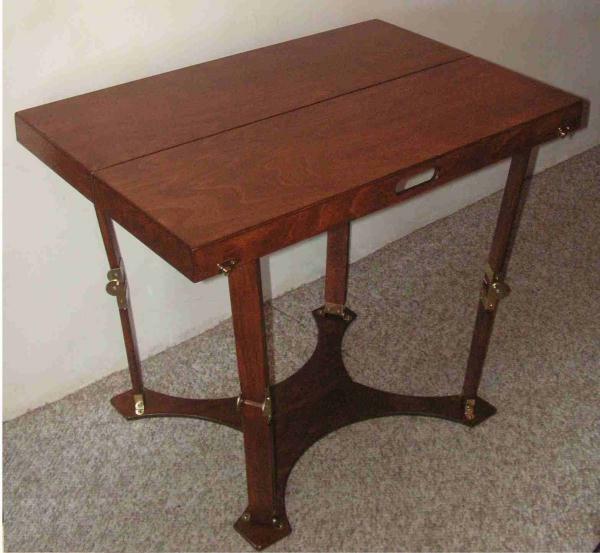 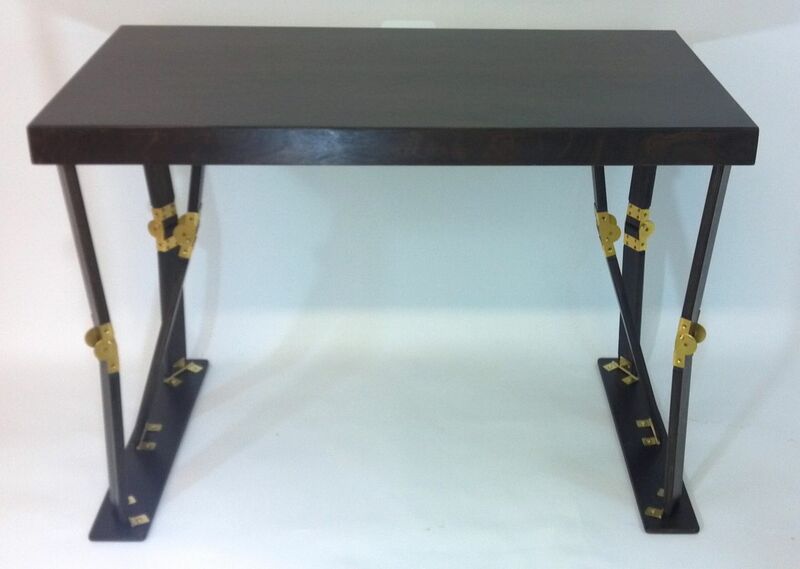 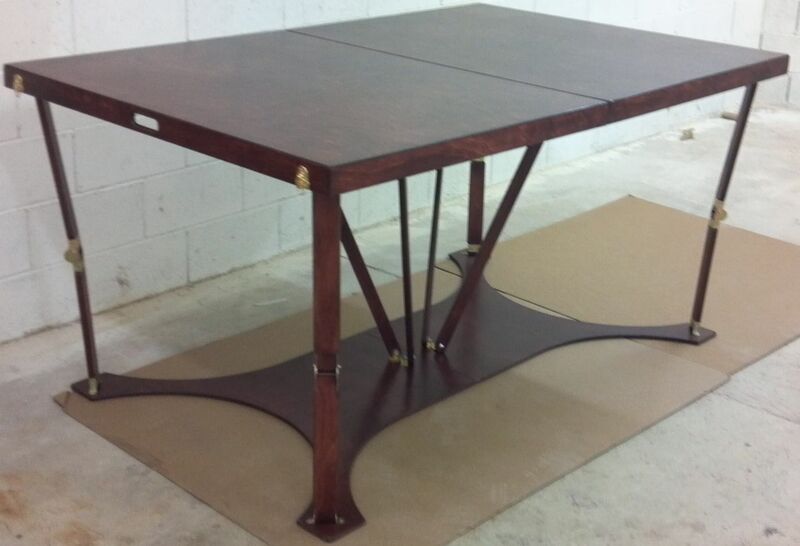 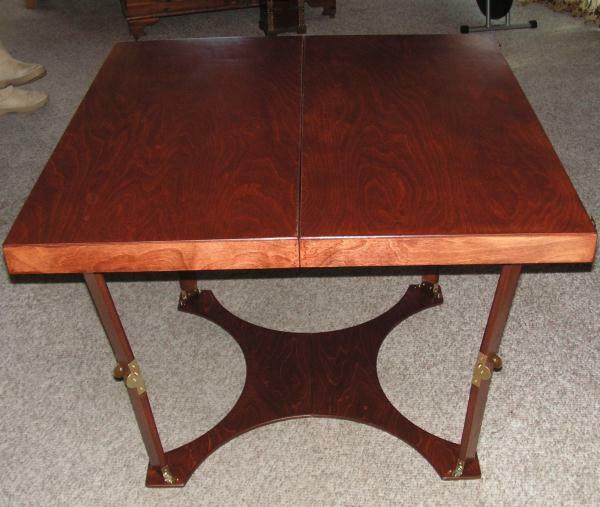 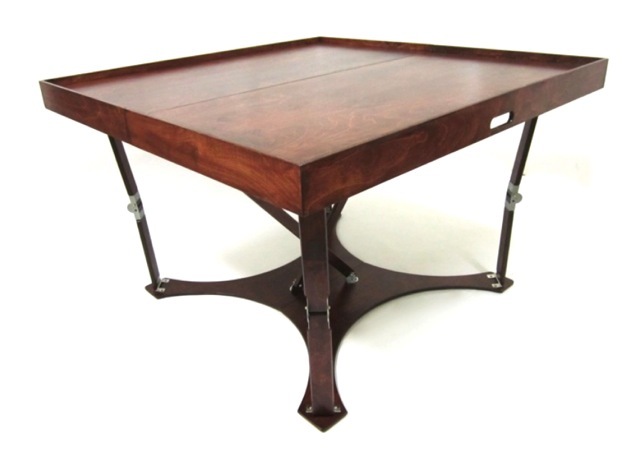 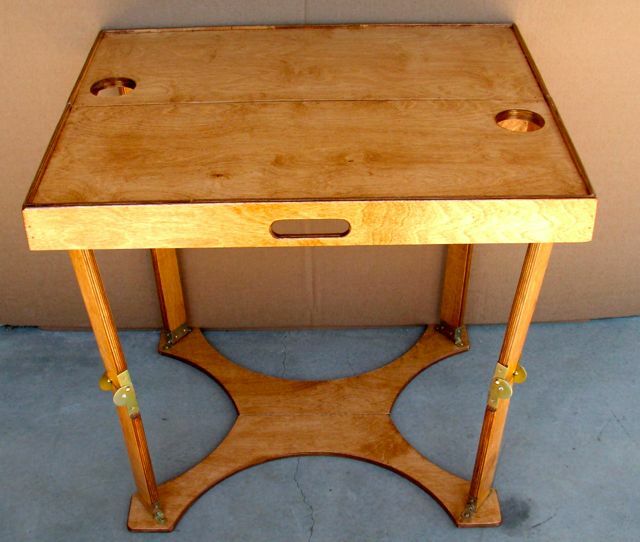 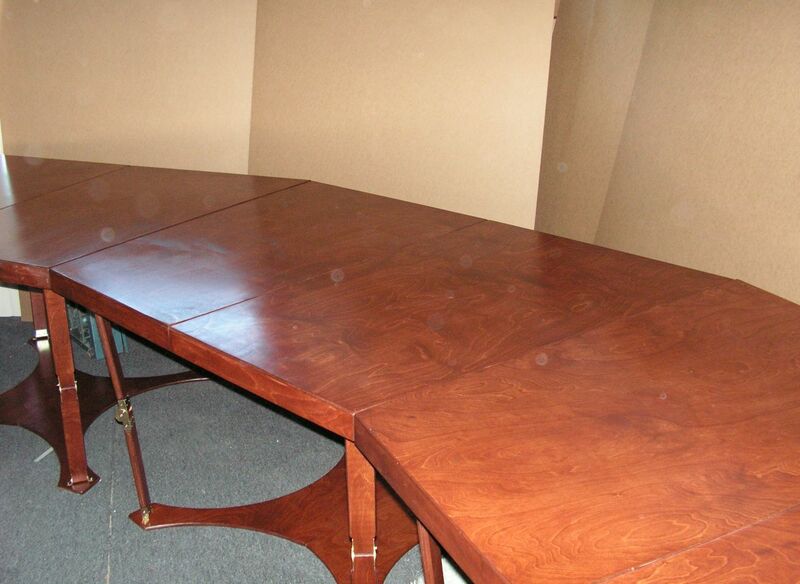 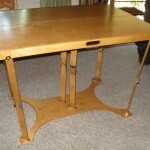 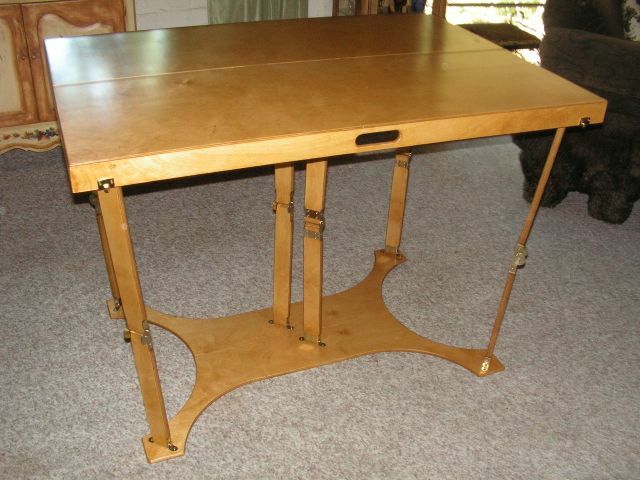 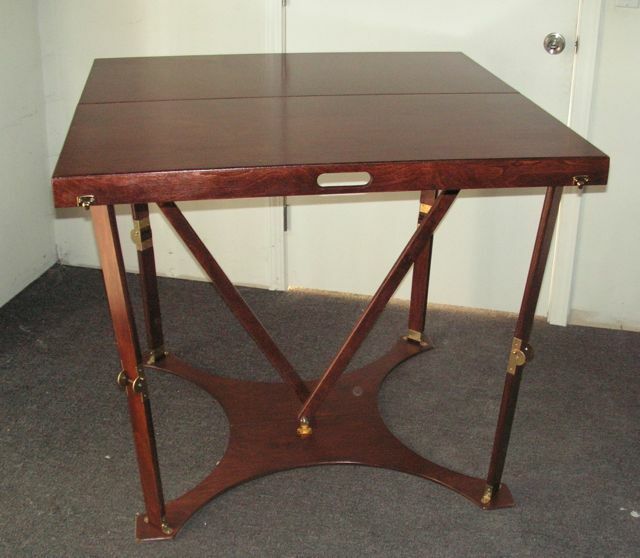 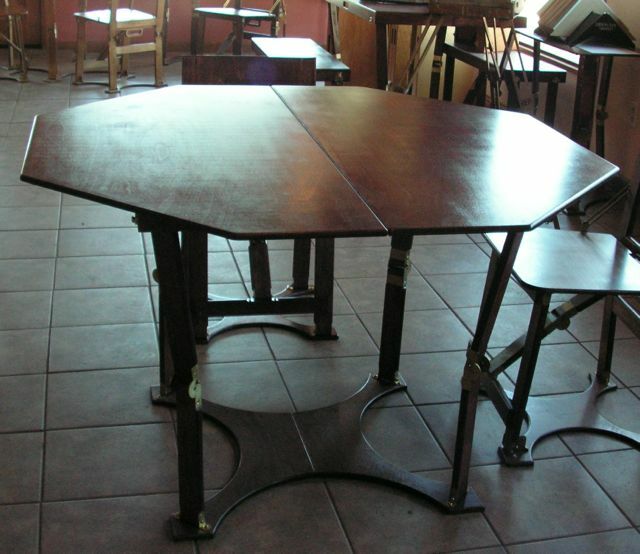 Extend your dining table with a custom folding table! 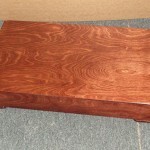 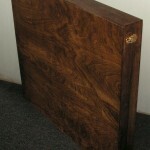 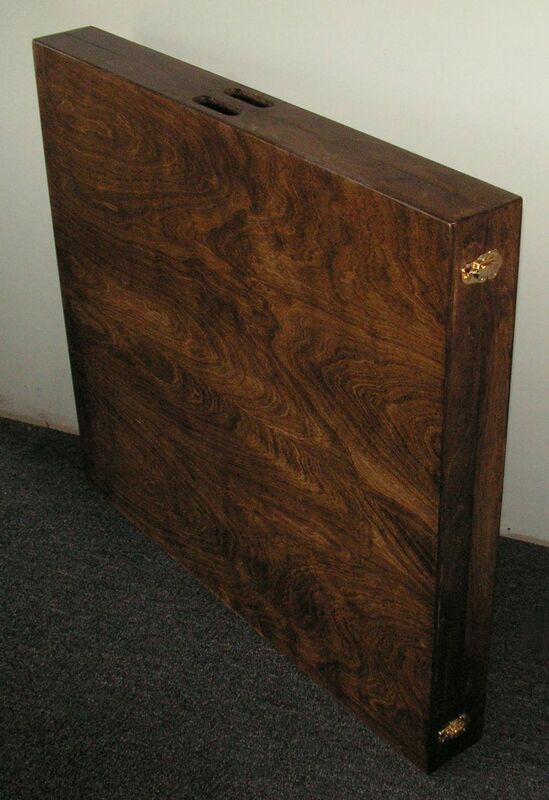 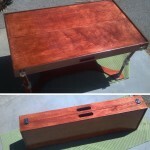 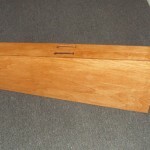 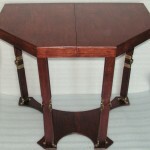 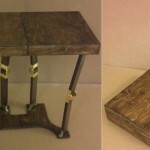 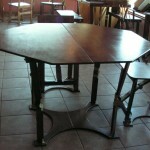 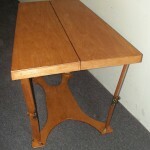 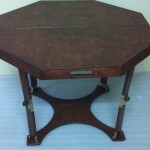 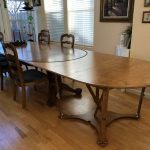 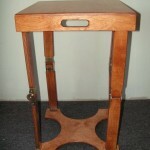 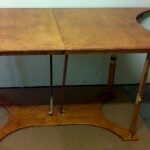 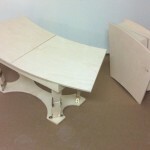 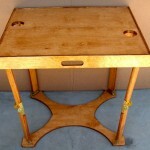 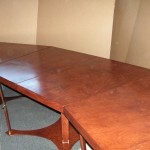 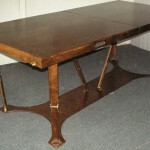 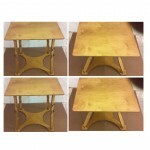 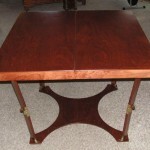 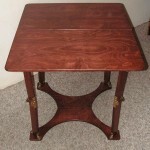 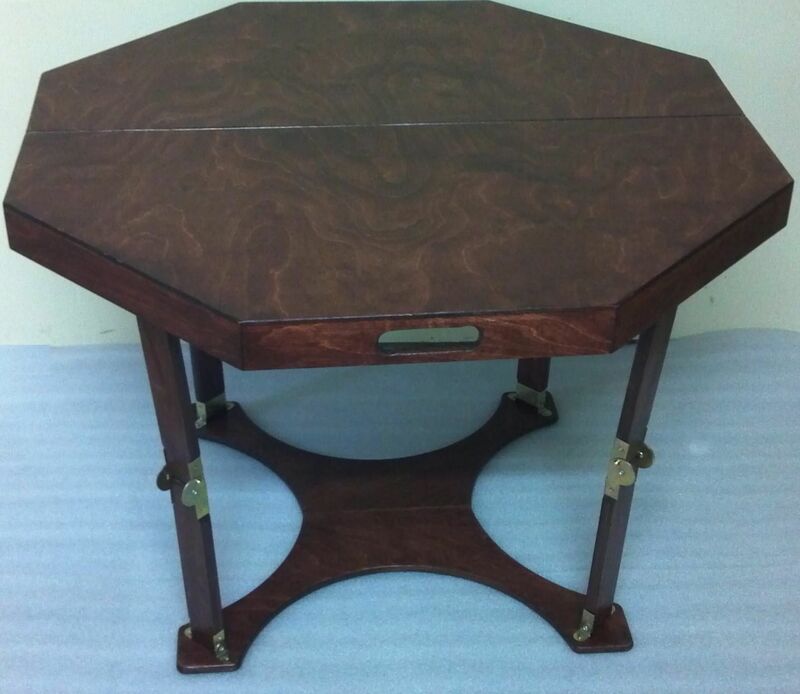 Need a Quote on a Hand Crafted Table? 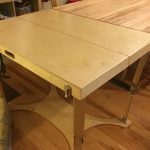 Fill out our Form! 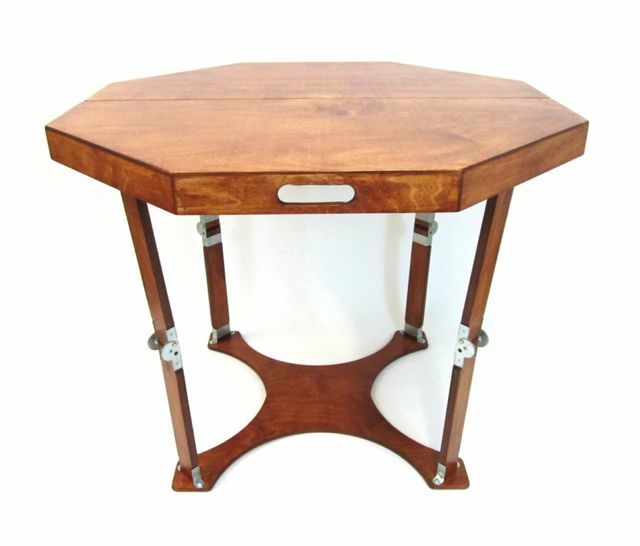 We wanted to expand our dining table for dinner parties and family visits, and rather than get a card table that was shorter and narrower, the spiderlegs table made a perfect extension. 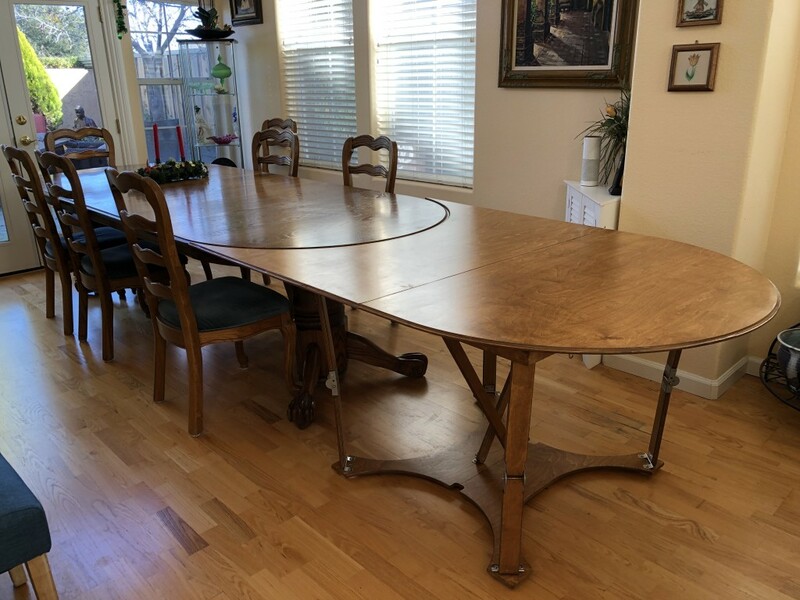 Buzz changed the height to match our dining table, and it’s a perfect fit! 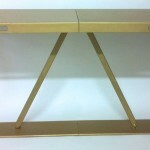 Plus it’s such a clever design, we feel cool using it. 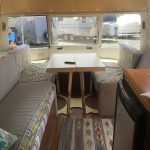 We needed a slightly modified table to fit neatly in our tiny trailer, and Buzz did a fantastic job! 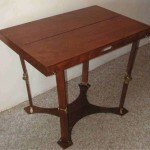 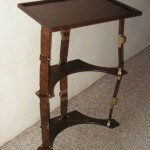 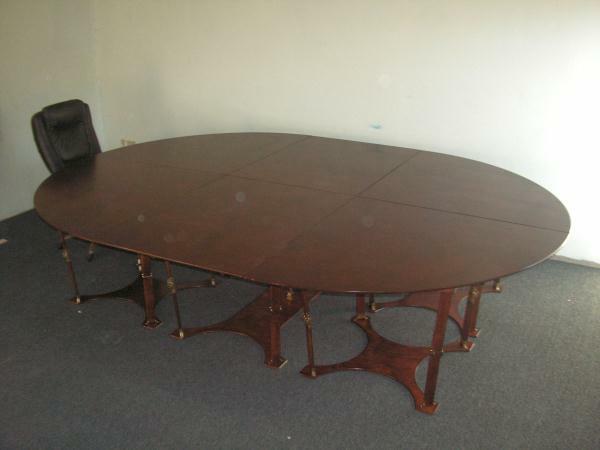 The table is elegant, simple to use, and makes our switch between ‘dining room’ and ‘reading room’ fast and easy. 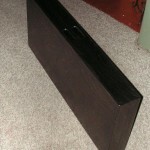 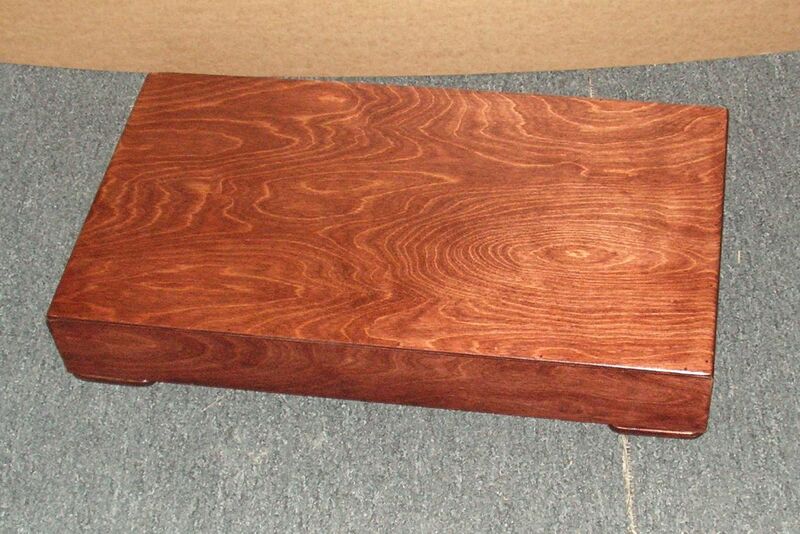 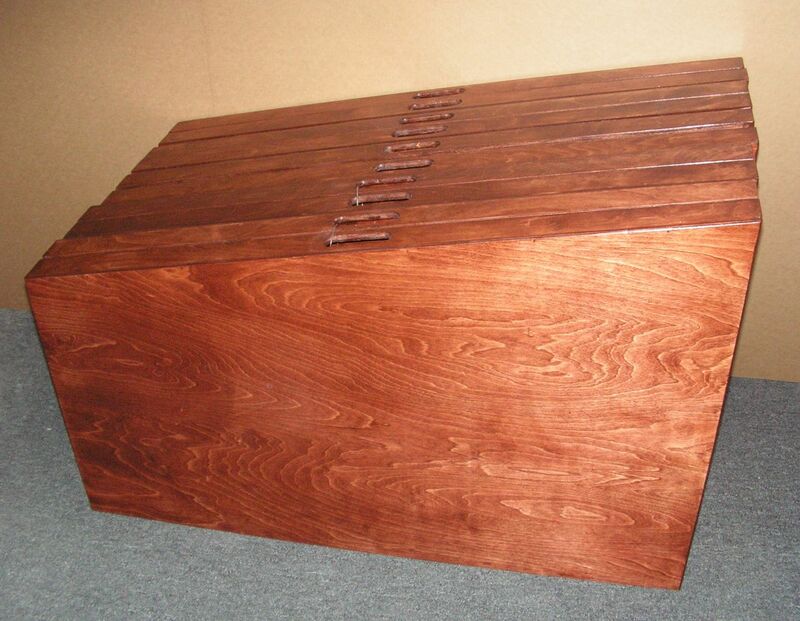 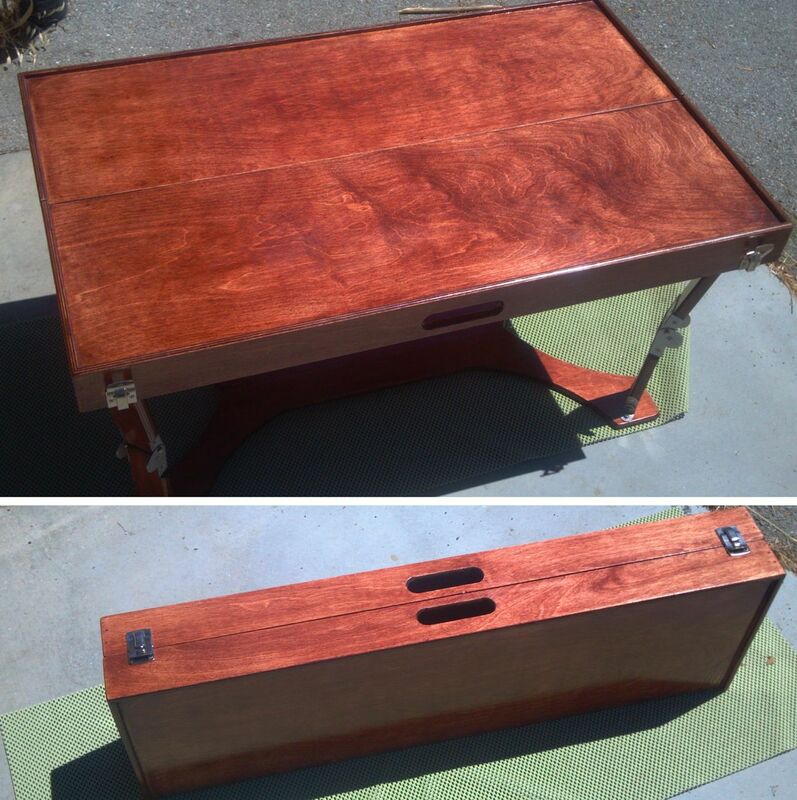 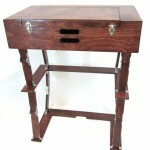 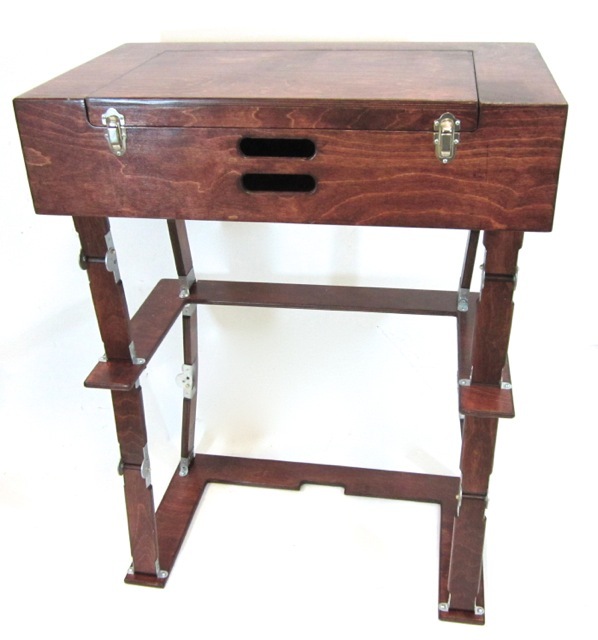 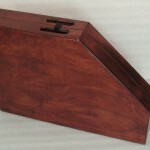 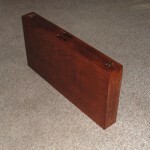 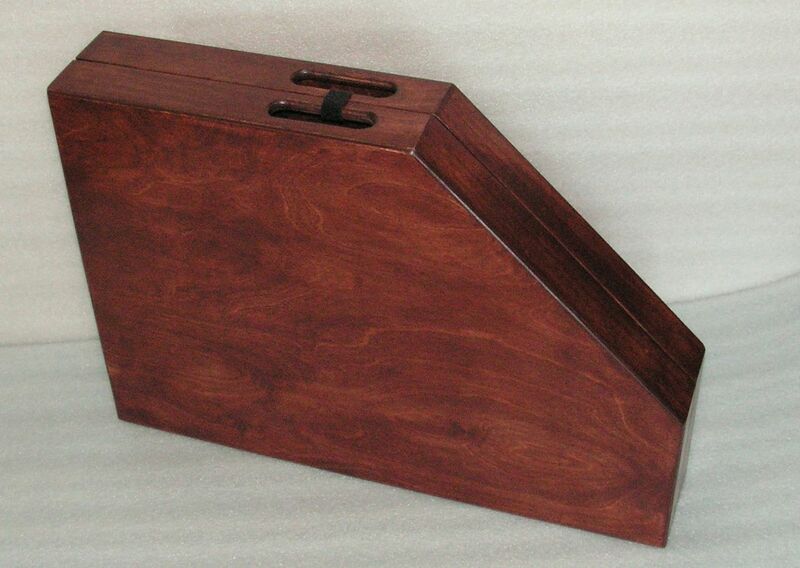 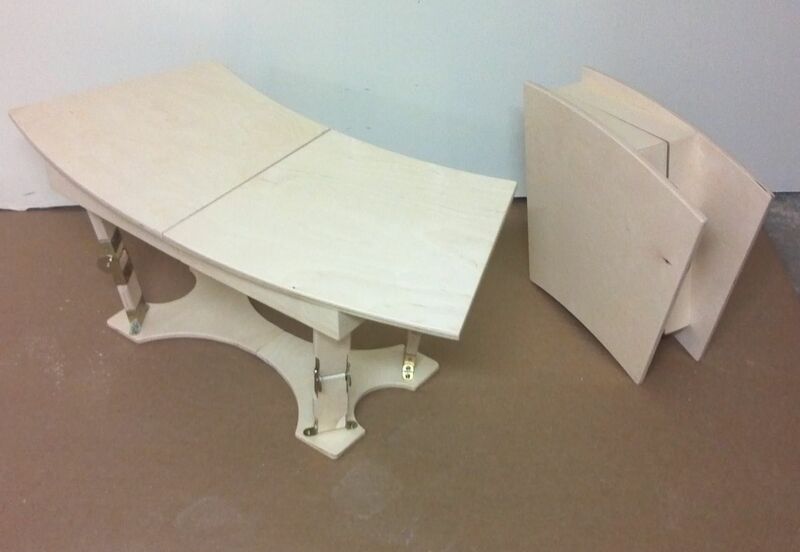 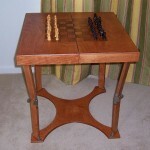 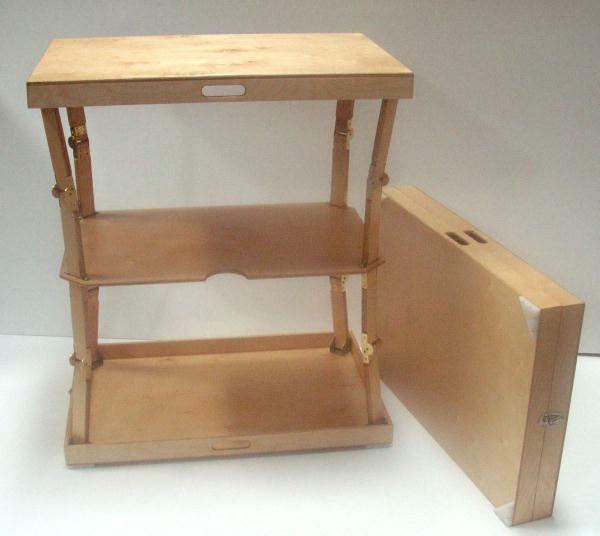 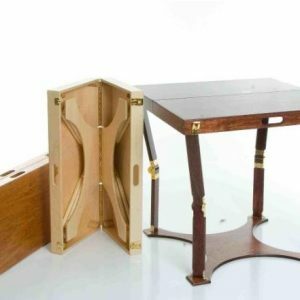 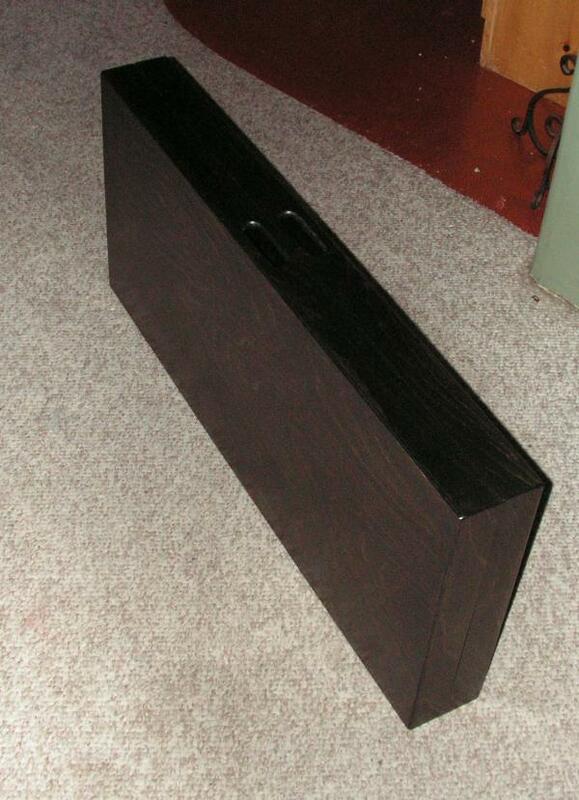 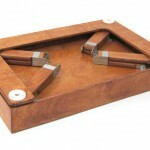 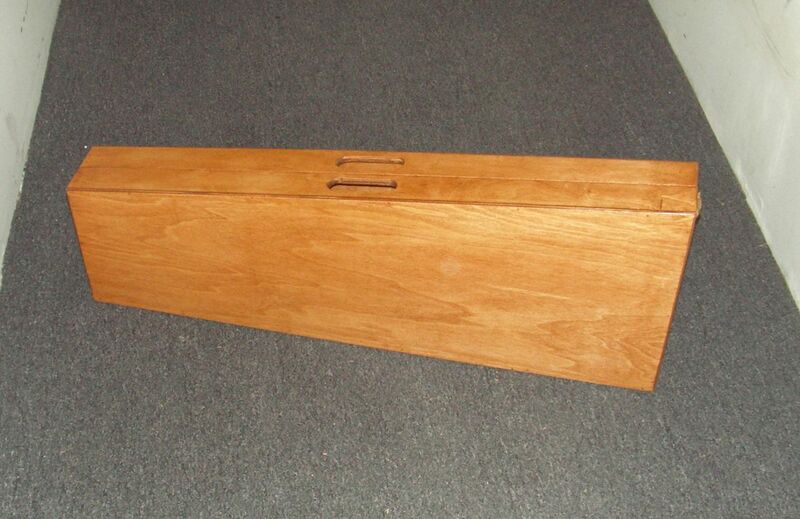 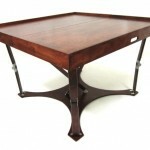 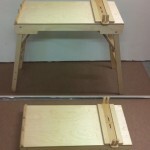 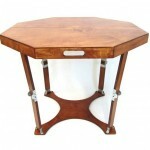 The table looks beautiful as a table or in its briefcase form, and is very portable. 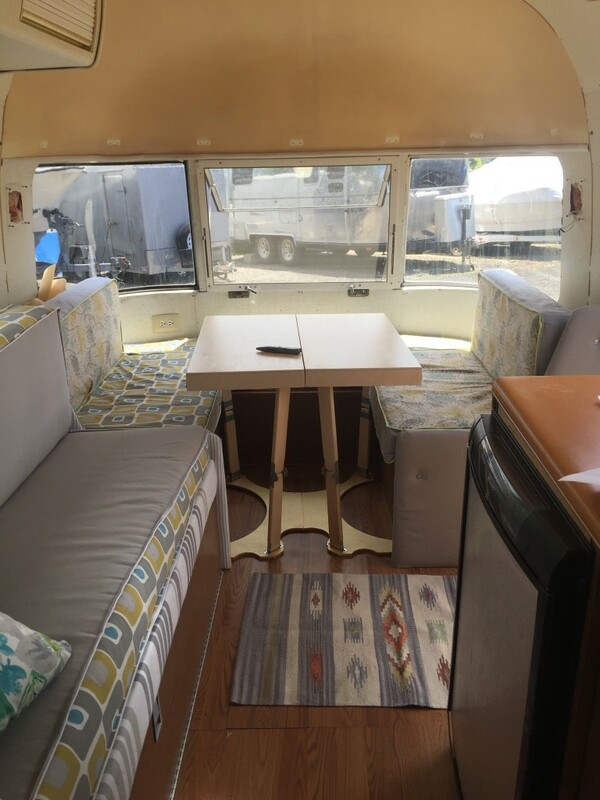 Couldn’t be happier! 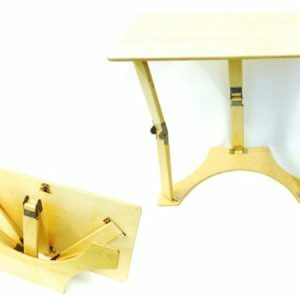 Would you like to review your table?